At RØDE we take your privacy very seriously. RØDE’s commitment to our web users' privacy and the full disclosure of our information gathering, dissemination and storage practices is evidence of that commitment. The data we collect is not sold, traded or made accessible in any way to any other company. 3.2 Where RØDE has given you (or where you have chosen) a password which enables you to access certain parts of our Site, you are responsible for keeping this password confidential. We ask you not to share a password with anyone. 3.3 Unfortunately, the transmission of information via the internet is not completely secure. Although RØDE will do its best to protect your personal information, we cannot guarantee the security of your data transmitted to our Site, and any transmission is at your own risk. Once RØDE has received your information, RØDE will use strict procedures and security features to try to prevent unauthorised access. 5.2 We may disclose your personal information to an affiliated authorised distributors, retailers and/or service agents for the purposes of fulfilling RØDE’s warranty obligations. (d) If the user has opted–in for the provision of all or part of that user’s personal information to be provided to a third party for the purposes of marketing and promotional purposes. 6.1 If you do not want RØDE to use your personal information as set out in herein, please tick the relevant boxes situated on the user registration form on which RØDE collects your information at the time of submission. This will allow you to opt-out of all or part of the uses of your personal information set out herein. 6.2 If you have provided information to RØDE and thereafter you wish to opt-out of all or part of the information set out herein, or to remove your details from the RØDE database, please email your request to privacy@rode.com. 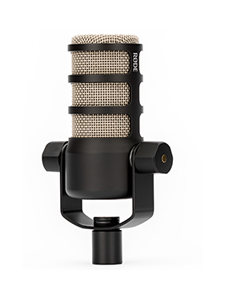 RØDE will do everything it can to adhere to your request. 7.1 Our Site and its sub-domains may, from time to time, contain links to and from external websites of our partner networks, advertisers and affiliates. The privacy practices of these organisations are outside the control of RØDE. If you follow a link to any of these websites, please note that these websites have their own privacy policies and that RØDE does not accept any responsibility or liability for these policies. Please check their policies before you submit any personal data to these websites. 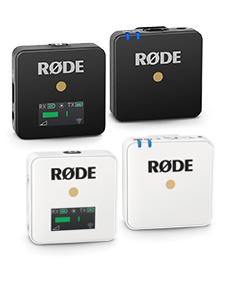 8.2 Please email any such requests to privacy@rode.com and RØDE will do everything it can to adhere to your request. 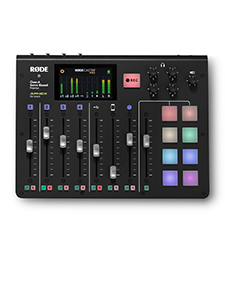 9.1 RØDE may at times receive information or stories from users about our products and their application with the intention of posting them on the RØDE website. Users are advised that the information they are submitting becomes public information and RØDE reserves the right to edit the information as required. 9.2 The copyright of any words and/or images submitted by a user in this regard will remain the property of the user, subject to a general, irrevocable, worldwide licence granted by the user to RØDE to use the words and/or images for the purposes of testimonials on our Site and in other material in RØDE’s sole discretion. 10.1 RØDE shall not be liable for any of the following in respect of personal information held by RØDE: loss of personal information; corruption of data files regarding the information; inadvertent release of personal information; personal information illegally obtained by computer hacking; and/or personal information obtained by any third party beyond the control of RØDE.